Portable Awnings come in many different types and styles for many different uses. 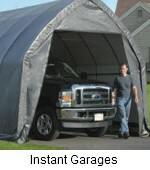 Protect your vehicles and shade your pets with portable awnings. Portable awnings are a must on camping trips as well as a shade for the hot tub or small pool. 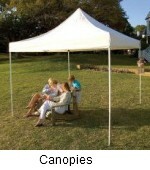 King Canopy sells portable shade units starting at just over a couple hundred dollars. They set up in less than a minute and would be great for any occasion. These portable gazebo type covers would work well over a hot tub, small kids pool, patio table or even the sand box. Where ever a little shade is needed a portable shade canopy would come in handy. Camping Shade - Help finding a cool place to enjoy the great outdoors. Portable Shade - More great ideas for on the go shade. Arbors - To add a touch of class to your yard or garden. Pergolas - These make the perfect patio table or hot tub cover. 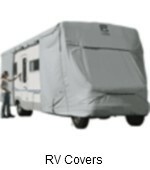 EZ Up Awnings - Showing more portable awnings. Gazebos - Add elegance and shade to your yard. Spa Gazebos - To enhance your outdoor experience. Shade Sails - More shade sails. Tarps - The best priced shade on the net. 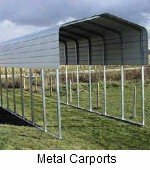 Canopies - Another type of portable awning. 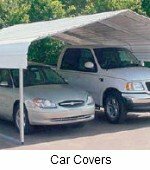 Car Covers - Great ways to protect your vehicles. Hunting Shelter - A few must have items for the hunter. Canopy Accessories - Just the little things to make it right. Sports Canopy - For on the go use. Party Tents - For that big occasion. 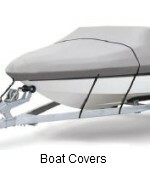 Boat Shade - A little portable shade for your boat. Large portions of this site are devoted to portable awnings. For a few more ideas visit our page Pet Shade.